Already read this book? 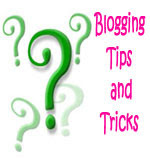 Go over to the Summary page to have a spoiler-filled discussion about the book! This review contains NO spoilers! Lily is a teenager with a secret: She’s actually a mermaid princess and if she doesn’t find a mate and bond with him through a kiss before her eighteenth birthday, she’ll lose her claim to the throne. Lily isn’t worried though, she has the perfect mate picked out. Brody is handsome, athletic, and suddenly single. Before Lily can get up her nerve and tell Brody her feelings she is kissed by her irritating bad boy neighbor Quince. The kiss sets in motion the mermaid magic and Lily and Quince find themselves bonded with Quince rapidly turning into a merman. Lily and Quince must now travel to Lily’s underwater kingdom and petition her father for a separation. Lily knows she can’t stand Quince and Brody is her true mate, so why is she finding herself increasingly attracted to Quince? This is such a feel good book! 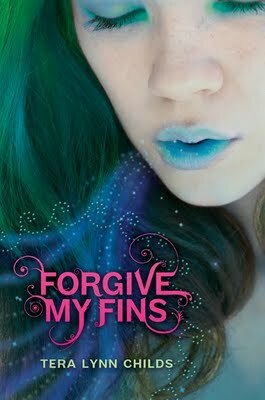 Light and frothy, Forgive My Fins has likable characters and one of the hottest PG romances around. Billed as a “bad boy” because of his motorcycle, leather, and aloof nature, we really only ever see him as a complete sweetie. I don’t usually go for the nice guy next door, but I can’t but help making an exception for Quince. He is so sweet. He treats Lily like she’s the only person he sees, even when she’s chasing after Brody and calling Quince a jerk. Sometimes nice guys can be boring, but Quince is not boring. There are a few simple scenes that never go beyond PG and sometimes don’t even include kissing, but they are nonetheless hot. I positively melted. I wanted to reach into the book and shake some sense into Lily. How could she not see how amazing Quince is?! And spending her time mooning over Brody? Brody? The girl is blind. While Lily’s constant Brody-chasing got tiresome and a little unbelievable after a while, I did still like her. She was so genuine and sweet. I remembered when I was young and crushing on a cute boy in school. Her nervousness and the way she got all excited when he looked at her or said something completely innocuous made me remember my own teenage years. There wasn’t a whole lot to the plot. This is pretty much 100% a character-driven story with very few actual events. Did I care? Not a bit. The characters were strong enough and likable enough that I was content to read about their conversations and growing feelings. This book is total fluff, but it is fluff at its finest. I definitely recommend this one if you’re looking to be swept up in a light Disney-style romance. There is a sequel, Fins are Forever (set for release in July 2011), but this book can easily be read as a standalone. The epilogue is the only indication that there is something unresolved, and hints that there may be a lot more conflict and action in the second book. I’m looking forward to the sequel but will luckily have Childs’ other offerings to keep me busy until its release. 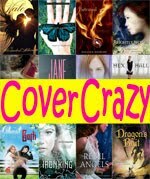 Looking for more books about mermaids? There's nothing wrong with a bit of fluff every once in a while! I've never actually read a mermaid book before. Maybe this could be my first. I'm trying to think if I've heard of any other significant mermaid book that has gotten truly positive reviews and I'm drawing a blank. I'm trying to think of mermaid books now, but I'm coming up blank. Oh, I've heard good things about Lost Voices, though it sounds a little too heavy and serious for my tastes right now. 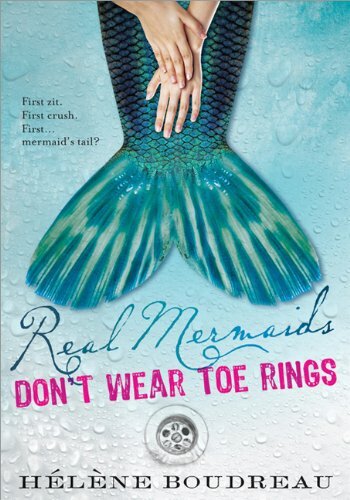 I'd also like to read Real Mermaids Don't Wear Toe Rings, which I've heard is fluffy early YA/MG. I think I've read mostly "average" reviews for Lost Voices. As much as I love fluff, you know what would be really cool? A dark and edgy mermaid book. Hmm, well, from what I understand, the original Little Mermaid is pretty dark but I mean besides that one, haha. I've heard good things about Forgive My Fins and am glad you liked it too. I haven't read it yet but it sounds great for a day when you want a light read. Great review! Every now and then I need a light and frothy read. And Mermaids how can you go wrong with that! Great review, interesting how you said its a character driven book, l find this with some books but still totally love them! I loved this book!! So sweet and a cute read. I am totally anxious about the cousin though. I need the second book already!!! 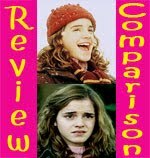 Aylee, It’s funny how reviews can be so different! The original is really dark, and tragic. Disney definitely changed things around! I could get on board with a dark and edgy mermaid story. A Canadian Girl, Your exactly right. This is a great book for when you just want something that’s light, sweet, easy, and will leave you smiling. Books for Company, Thanks! It is very character driven. If I like the characters, then I have no problem with that and I liked both Quince and Lily. Savannah, Yay! Yeah, I want to know what’s going to happen with her too. She’s definitely a pot-stirrer. Laura, Thanks! Quince is totally drool worthy. He’s the bad boy who’s so good. Didnt you at times just want to reach into the book and smack Lilt around? She was so blind! But I'm so glad you enjoyed it :) I agree, it was a fun and light read but very much worth it! Will you be reading the sequel? Can't wait to see what you think! Definitely! She was so Brody-obsessed and Quince was right in front of her face being all hot and adorable! I will definitely be reading the sequel. I'm also really looking forward to Tera's new series about Medusa's descendants (Sweet Venom).